Hello again,Today we are talking about the most prized for a personal trainer in NYC or humans overall, ever. Abs! Basically, the world is divided within two groups: the have-abs and the have- noabz. Tensions between those groups are so high that a civil war might erupt any time, which is why I dedicated my time to write the article below to help you cross over into the right camp.I know what you are thinking: Oh great, another ab workout article. Here it comes: crunches, sit ups, leg raises , repeat (insert stupidly high number here). Right? Wrong! Those of you that follow my writing will know by now that I am anything but predictable so get ready for the most unconventional ab workout you have ever seen. So, take your seat, grab your high protein popcorn and follow me. First, we’ll start of with posing. The reason being that there is simply nothing better when to comes to muscle activation and conditioning than posing. Anyone who has been on stage or sweated through a posing session will know what I mean. Think of it as a whole body isometric, repeated over and over while smiling and trying to look happy. 1. Pose of choice: Hands over head abs and thigh. This one is an absolute killer when it comes to conditioning! Put one leg out front, contract thigh as hard as possible. Raise your hands behind the head and contract your abs. Blow all the air out, lean a little bit forward and contract the entire upper body, as well as your leg. 2. The vacuum: train your internal abdominals by bringing back this old school bodybuilding pose ( Sadly this pose died out with the advent of the GH gut but that is a whole other matter). Allow me to elaborate on the importance of the vacuum. The Transversus Abdominus are the inner abdominal muscles. These muscles are rarely discussed and often most neglected. Yet they keep you stable during squats and other power movements. If you are weak there, you ll most likely suffer from back pain at some point. The way to strengthen them is the vacuum pose: lay on the floor, pull the feet close and place the hands next to your body. Try to draw your belly into your spine, hold for 30 seconds. Repeat ten times while working your way up to 60 seconds going forward. 3. 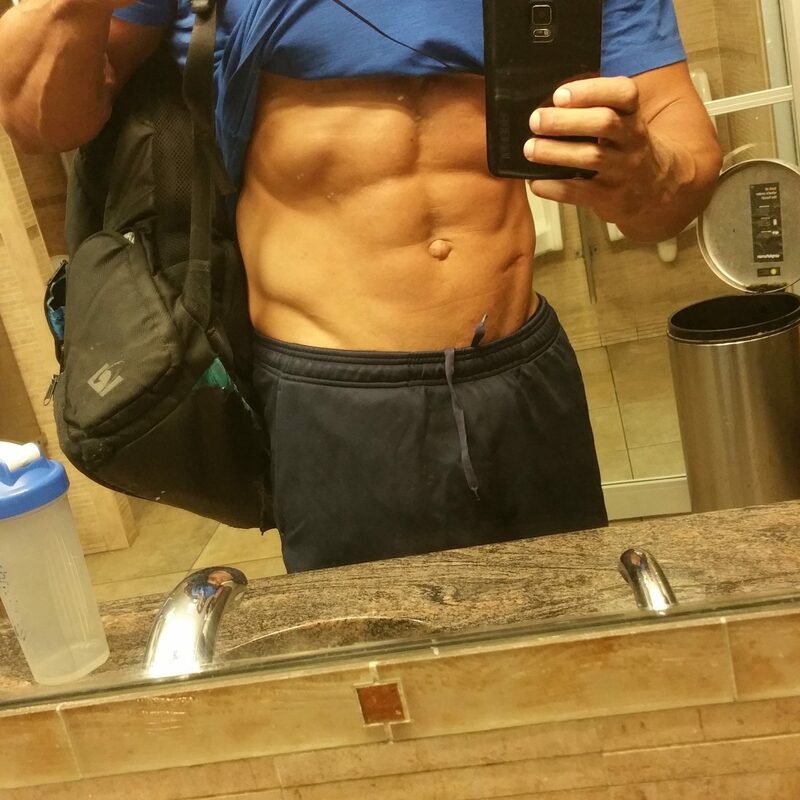 Do weighted crunches…but harder! You’ll set up a rope at the high cable pulley, place yourself kneeling facing away from it. Start performing crunches by going very slowly and keeping continuous tension on the abs. Once your fatigue, head to the squat cage, set up 50% of your regular squatting weight and perform 15 reps, 8 seconds each way. Be ready for a monster burn! 4 . Superset clean and press with leg raises: Here you’ll start with 10 clean and presses, focusing on speed and explosiveness, then head to the roman chair for 30 leg raises. Rest 30 seconds and repeat! There you have it, the world’s most unconventional ab workout, repeat two to three times a week! Btw: Did I mention that you have to be lean to have visible abs? Previous post: THE FAT BURNING ZONE-FACT OR FICTION? Next post: The three point training method for faster results!